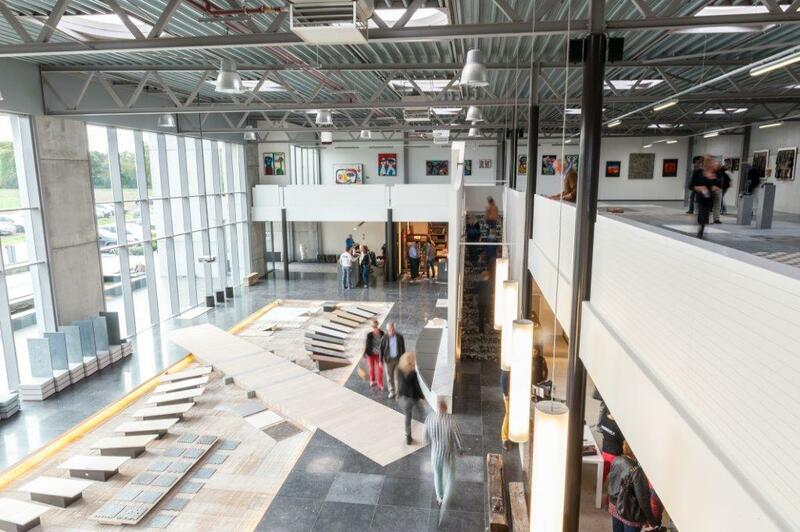 The possibilities in Design with natural stone, composite, ceramics and Terrazzo, are endless. At Steenimex, we are producing detailed customization in stone, since 1909. 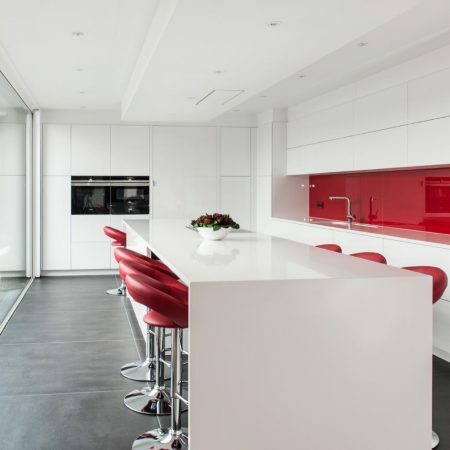 Next to kitchen worktops and bathrooms, also massive sinks, internal and external flooring, vanities, window sills, staircases, thresholds, fireplaces, patios, mozaics, letterboxes, exterior designs, furniture designs, bar tops, reception desks, façades, cladding, art and creative objects, can be produced, delivered and placed by Steenimex. 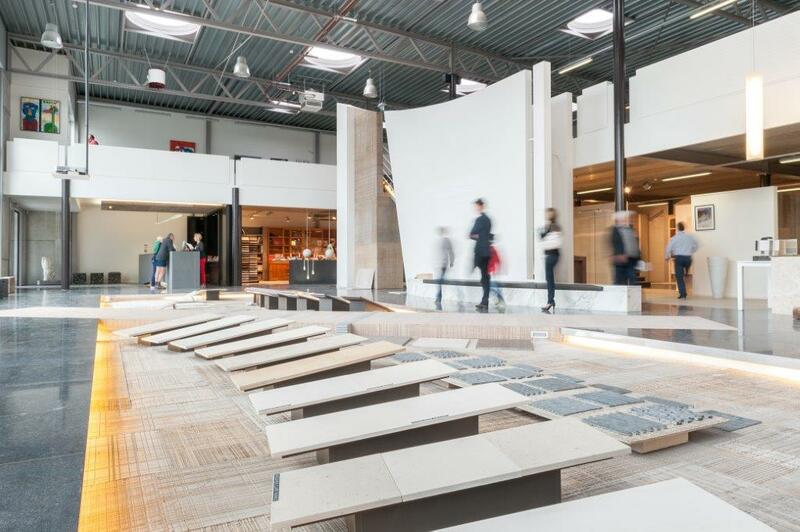 Thanks to the endless possibilities in Design with Natural stone, composite, ceramics and Terrazzo, your creativity, ideas and desires, can all be unleashed at Steenimex, where detailed and personalised customization are crafted in natural stone and other stones, since 1909. Brightened up with colourful works of art, the one of a kind, architectural showroom, together with connecting expo halls, aren’t just at disposal for choosing your favourite stone species, but are also available for absorbing inspiration and gathering technical or esthetical advice from our staff members. Brightened up with colourful works of art, the one of a kind, architectural showroom, together with behind expo halls, aren’t just at disposal for viewing and selecting your favourite stone species, but are also available for finding inspiration and gathering technical or esthetical advice from our staff members. 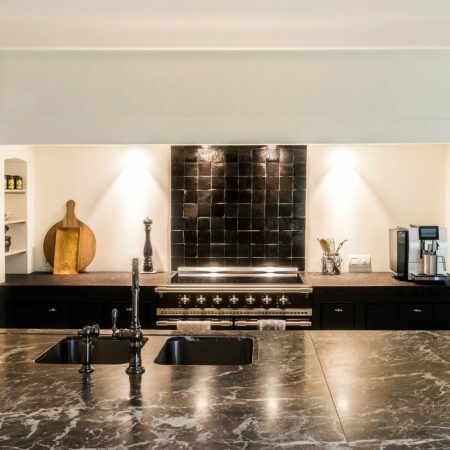 At Steenimex, we listen to our customers’ needs before informing them with need-to-know information regarding the characteristics, proper maintenance and the natural aging effect of each stone individually. Some stone species also allow more application forms and processing methods, than others. This methodology, has been our fixed culture for decades, generating long term satisfaction for our customers. Communication with our customers, stands centrally. Listening to the needs and providing correct information regarding characteristics, proper maintenance and the natural aging effect of each stone individually, is knowledge we happily invest our time into sharing with you. Some stone species also allow more application forms and processing methods, than others. This kind of methodology, has been our fixed culture for decades, generating long term satisfaction for our customers. 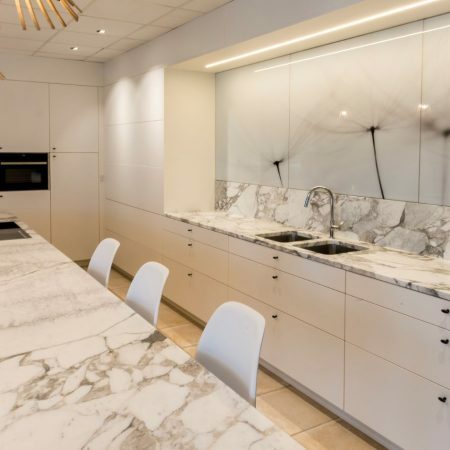 With over 300 different stone species in stock, 160 different marbles and limestones included, there is definately an abundance of choice available. 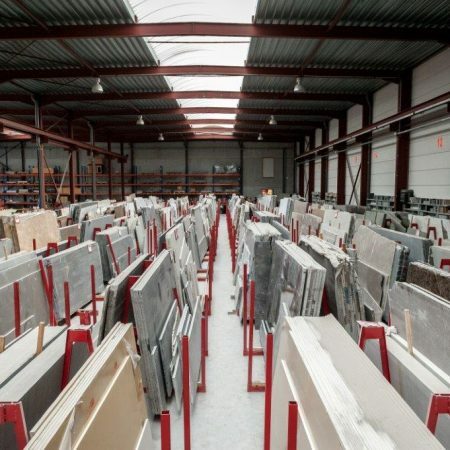 Next to our own supply of slabs and massives in natural stones (Belgian Blue Stone, Granite, Marble & Limestone, Quartzite, Slate, White stone, Onyx and Basalt), also the best brands and designs in composite, ceramics and terrazzo, are being stocked. Next to all classical and well known stone species, Steenimex also has unique, original and extremely exclusive stone species stocked. On top of that, Steenimex is, next to being a producer of existing finsihes, also an inventor and producer of a few authentic finishes, such as today’s succesfully running finish, named “Rosselini”. Next to all classical and well known stone species, Steenimex also has unique, original and extremely exclusive stone species stocked. On top of that, Steenimex is, next to being a producer of existing finsihes, also an inventor and producer of a few authentic finishes, such as today’s succesfully finish: “Rosselini”.